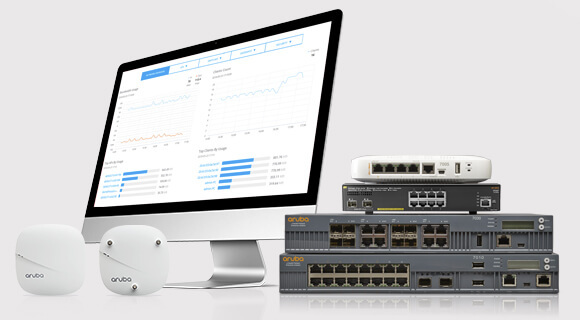 Aruba Central offers simple, secure and cost-effective cloud management and visibility for Aruba Instant APs, switches and Branch Gateways for multi-site organizations. Advanced analytics services and connectivity health, as well as easy to use guest access help IT deliver unmatched experiences, while improving efficiencies. Simple cloud management and monitoring. With Aruba, your wired, wireless and WAN infrastructure are up and running in minutes using zero-touch provisioning and our integrated Install Manager and mobile app. Once operational, modern cloud micro services deliver the monitoring and reporting to manage distributed environments of all sizes. In addition to Wi-Fi and wired management, Aruba Central also provides a unified way to manage your WAN connections. Simple controls make it easy to optimize traffic distribution, monitor WAN performance, and setup QoS and bandwidth policies for any number of branches. 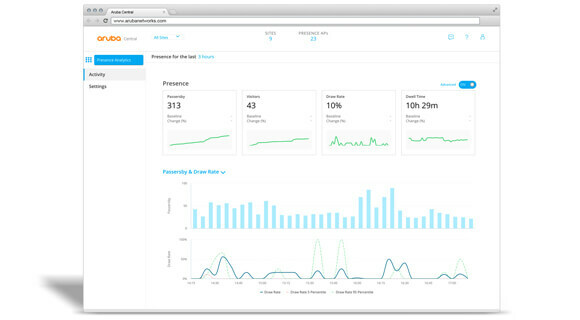 Wi-Fi analytics for smart business decisions. Improve your operations by leveraging Wi-Fi and mobile devices to better understand where hang out and how long they stay. Leverage and share context with facilities, marketing and IT for planning decisions. Networking with the user experience in mind. Guest Wi-Fi that’s simple and mobile-friendly. Visitors, contractors and suppliers all want fast and secure Wi-Fi access. 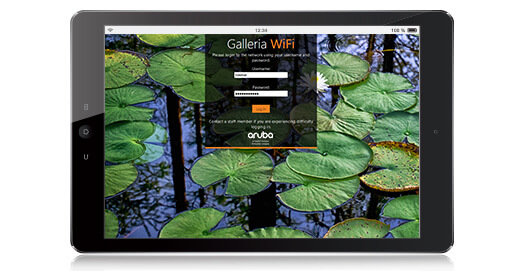 Aruba Central and Aruba Wi-Fi make it simple. It’s easy to offer login pages with your logo, welcome messages and images for a great experience. In Aruba Central’s Managed Services mode, our partners and resellers can easily offer their customers a cloud-managed network solution that helps expand their business. Find out everything you need to know, including set up, configuration, troubleshooting and more with our series of how-to videos.